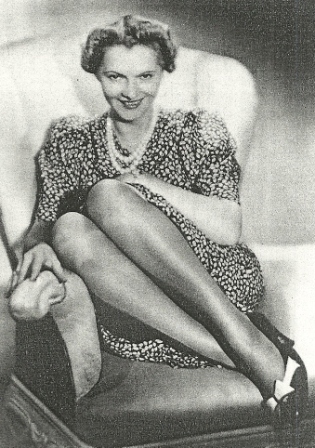 Who knew a picture postcard of a German cabaret singer would create such a stir? When Josef parachuted into England on the night of 31 January, 1941, with Clara Bauerle's photograph in his pocket, a seemingly endless series of dominoes began to fall. Was Clara another German spy destined for England? The officers of MI5 had their suspicions but as the months wore on, with no sign of Clara, they put her case on the back burner. Decades later... just a couple of years ago... an intrepid reporter put two and two together and suggested that Clara Bauerle had actually arrived in England. The reporter suggested that Clara had ended up dead, stuffed into a hollow Wych Elm in Hagley Wood, West Midlands. Was it possible? A few obvious clues suggest otherwise. The woman in the Wych Elm was short, about 5 feet tall whereas Clara had been described as being tall, almost 6 feet. An online music resource also indicated that Clara passed away in Berlin on 16 December, 1942. But that resource had no references and so the rumours persist. 2. Who put Bella in the Wych Elm? Since then, I've done my fair share of digging on the Clara Bauerle saga. I put feelers out on German grammophone forums and came up empty. People knew about Clara and her relationship to the Bernhard Ette Orchestra but no one came forward with any information on her death. I sent a request to the International Tracing Service regarding Clara but my request didn't fall within their parameters: (a) I was not a relative and (b) Clara had not disappeared under suspicious circumstances (i.e. concentration camp, deportation, etc.). No luck there. I hired a researcher to try and dig up a Berlin Death Certificate on Clara but... without an actual Standesamt (civil registration district)... that is seemingly impossible. It would be like trying to find a death in London without a city district. The researcher checked with the German Landesarchiv regarding the Resident Registration Database but these are threadbare for the war period, and there was no record of Clara. She may not even have been a resident of Berlin as she was often on tour with orchestras. I contacted an author who has a draft version of a book about Bella in the Wych Elm in the works - Piu Marie Eatwell. I asked her if she had any information on Clara's death and got a non-committal reply in return. It seems that trackers of the elusive Clara Bauerle like to protect their information and/or sources. Finally, I sent an email to the person behind the Bavarian Music Lexicon Online, the website that listed a death date for Clara. I've asked for a reference for that little tidbit of information. To date... no word back. But... all is not lost. Today, I was sifting through the internet again and came across an obscure book on German cabaret singers and... it had a tidbit on Clara. Google Books only gave me a snippet of the piece on Clara, but it was enough to recognize that it referred to her. Alas... this book is so obscure that there are no copies in Canada. But... I've put out some feelers in Germany and hope to have a photocopy of the article within the next week... keeping all fingers crossed.